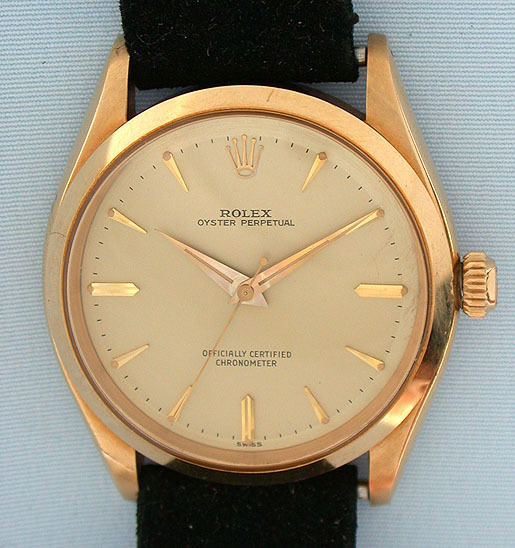 Handsome Rolex 18K gold reference 6564 Oyster Perpetual automatic vintage wrist watch circa 1959. 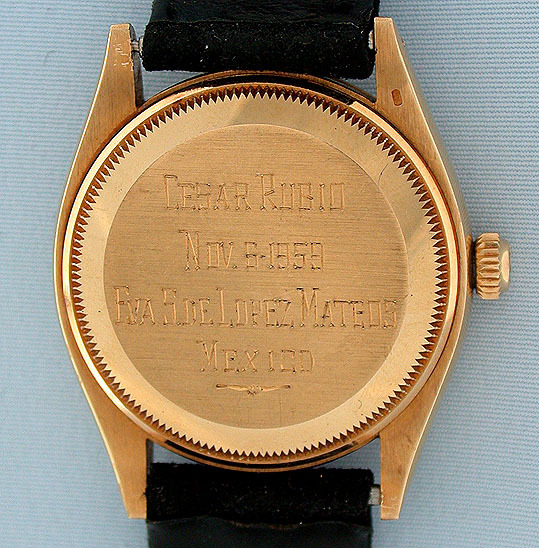 Original gold dial with applied gold markers and gold hands. 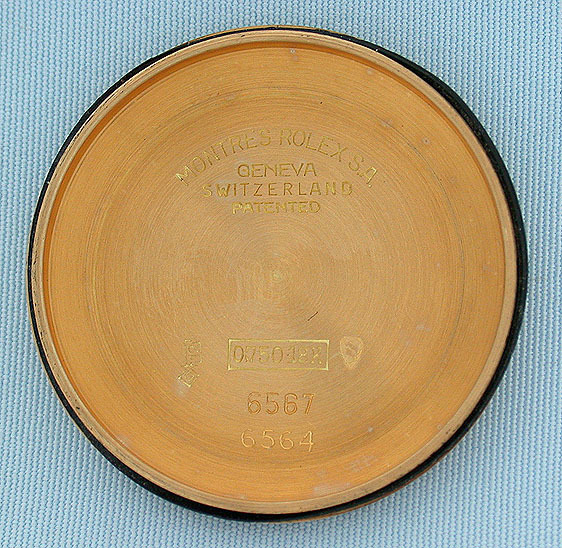 The case with downward sloping lugs and original crown. 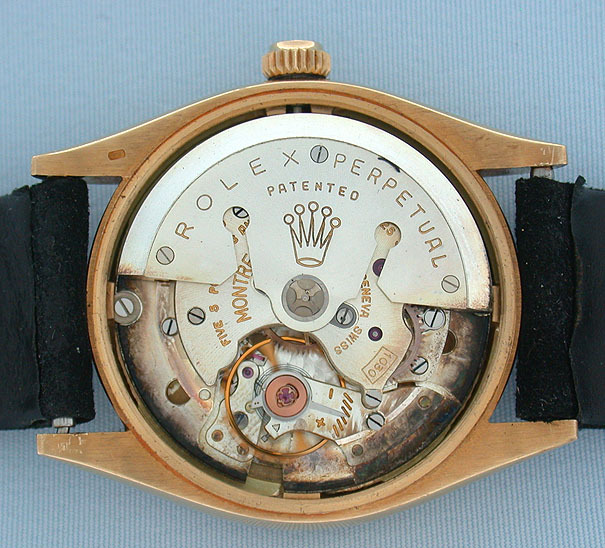 Adjusted 25 jewel movement. 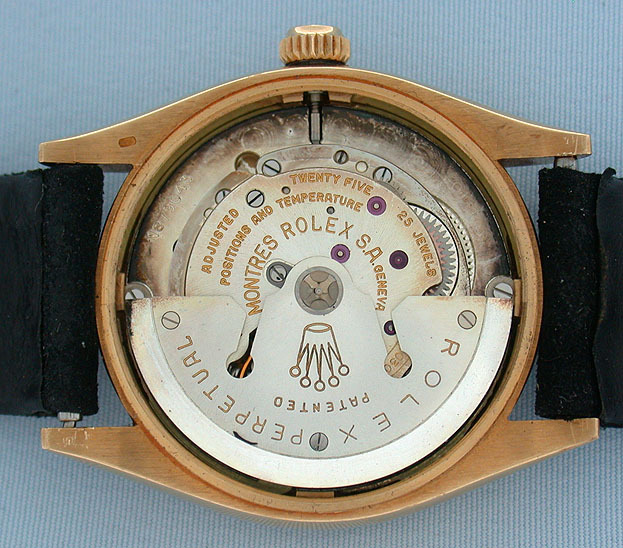 A most attractive watch in particularly fine condition.